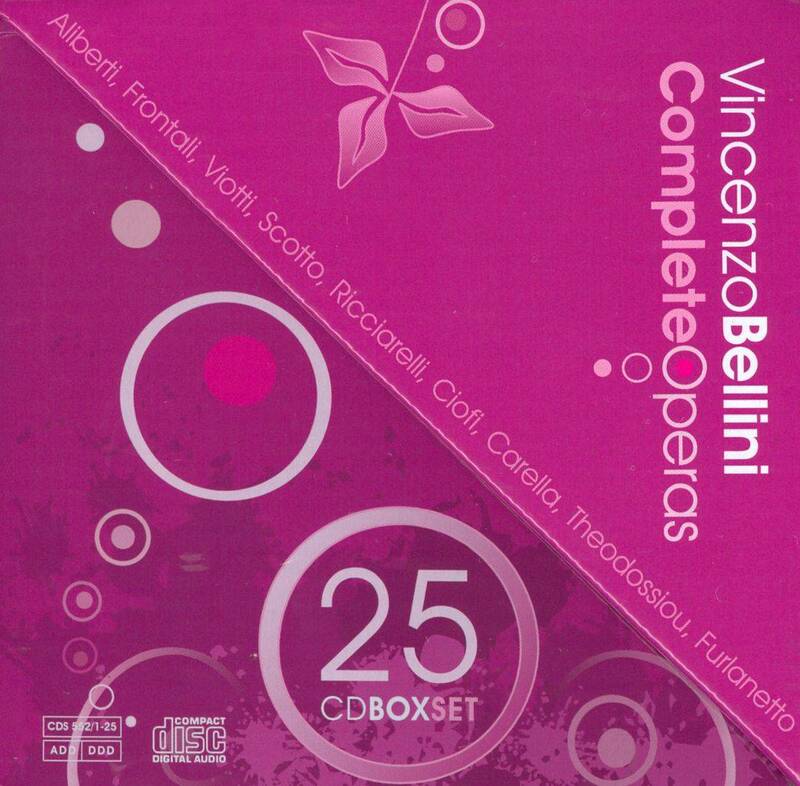 This is the first time that a complete edition of Bellini's operas is released. The box includes an essay by Friedrich Lippmann, one of the world's most eminent scholars of the Sicilian composer, who in 2007 was awarded the international Galileo Galilei prize by the Italian Rotary Club for his contribution to the dissemination of Italian music in the world. 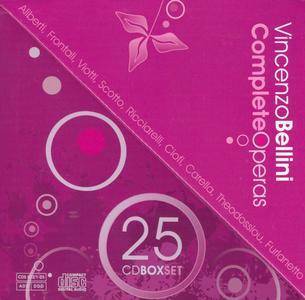 In addition to the complete set of Bellini's operas, the box includes two bonus historical recordings of La Sonnambula, featuring La Divina Maria Callas, and Norma, with Montserrat Caballé in the title role. 7. Hai ben compreso il tutto? 11. Al foco! Al foco! 12. Viva Bianca! Viva ognor! 12. Che far vuoi tu? 12. Chi ci toglie ai ceppi nostri? 11. Altro ei non chiede? 14. Signore, che creder deggio? 5. Me chiami, o Norma? 13. Né compi il rito, o Norma? 3. Or dove fuggo mai? 13. Me tu già mi fuggi? 13. Signore, che creder deggio? 6. Me chiami, o Norma? 14. Né compi il rito, o Norma?